Salvo, North Carolina A practice sea mine washed up at Cape Hatteras National Seashore. The mine was found by National Park Service rangers who secured the mine and called the Navy to respond. An EOD team from Norfolk responded and transported the mine for proper disposal. EOD confirmed that the mine did not contain any explosives. 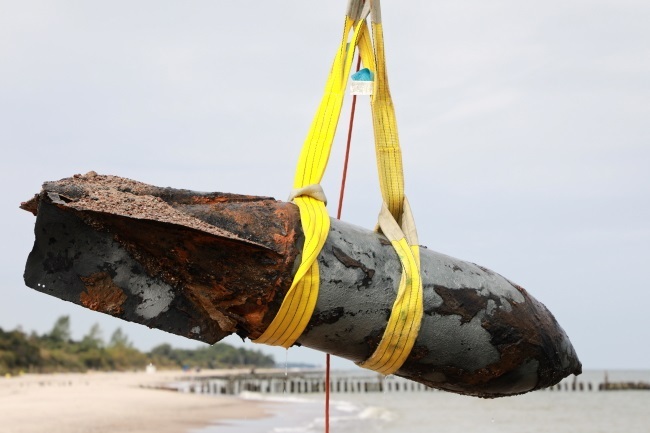 KoBobrzeg, Poland Police and Fire Fighters evacuated hundreds of people from a 1.5-mile radius as a bomb disposal team recovered several WWII era unexploded bombs from the Baltic Sea. The bombs were found in the close to shore where the water depth was approximately 5-feet. 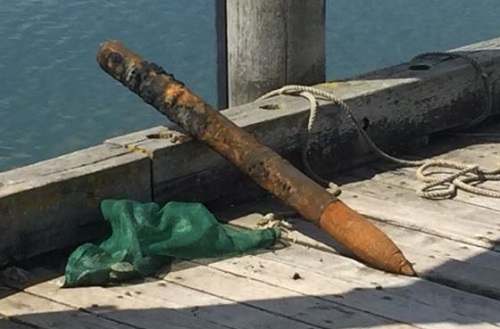 Orleans, Massachusetts Orleans Police and Fire personnel responded to reports of a fishing vessel which had dragged ashore a rusty ordnance item. Massachusetts State Police Bomb Squad and Navy EOD teams took possession of the ordnance shown below. The munition was moved to the end of the harbor and safely detonated in a controlled environment. According to Orleans Police, the round was likely deposited in the area from target practice that occurred in the area during the 1960s. Watchet, United Kingdom The Watchet Coastguard issued a safety warning to members of the public after it found a UXO on popular Lilstock Beach. Upon arrival, the team located the suspected ordnance, identified as a phosphorous flare, and established a safety cordon around it. After consulting with a Royal Navy EOD team, it was determined that the flare could not be destroyed until daylight. Members of the public were warned not to approach or touch the flare. Benicia, California A young boy found a strange metal object in the waters off the coast of Benicia. The boy swam down and picked the barnacle-encrusted object up and brought it to shore to show to his father. The father recognized the device as an old grenade, and quickly called the police to report the find. Officers arrived on scene and evacuated the area before calling in local Air Force EOD to investigate. The EOD squad from the Travis Air Force Base responded to the call and assisted in safe disposal of the grenade. They then cleared the area ensuring no more explosives were around before opening the area back up to the public. No injuries were reported from the incident. 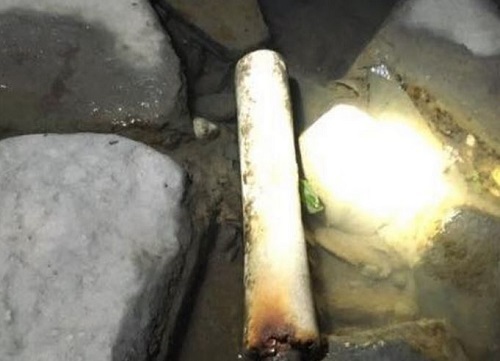 Norfolk, United Kingdom A local resident alerted the Coast Guard after discovering what he described as a "mortar-type device". The Coast Guard responded but could not locate the item due to the incoming tide. For safety reasons, the beach area was closed after the device could not be found. The item was re-discovered the following day when it washed ashore. The Coast Guard called EOD who dispatched a team from Portsmouth to dispose of the item. Outer Banks, North Carolina Two possible mines were discovered in separate areas along the Outer Banks of North Carolina, one on Whale Head Beach in Corolla and a second near Cape Hatteras National Seashore, according to a news release from the National Park Service. An EOD unit from Marine Corps Air Station Cherry Point was called in to investigate both finds. 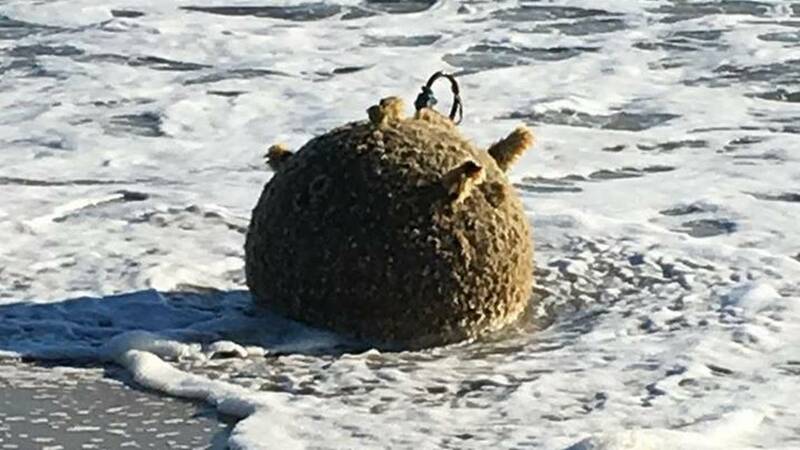 There is no word on the identification of the Hatteras find (shown below), but EOD did identify the Whale Head Beach item as an inert training mine. Osterville, Massachusetts A beachgoer discovered a military ordnance on Dowses Beach in Osterville while walking along the shoreline. Officials responded to find a phosphorous signal flare used for Navy training exercises. The device was removed by the Massachusetts State Police Bomb Squad and taken to a local landfill where it was rendered safe. Harwich, Massachusetts Beachgoers rightly reported a suspect device found floating in the waters of Nantucket Sound. Harwich Police and Fire responded to the scene and evacuated people in the area while the Massachusetts State Police bomb squad inspected the item. 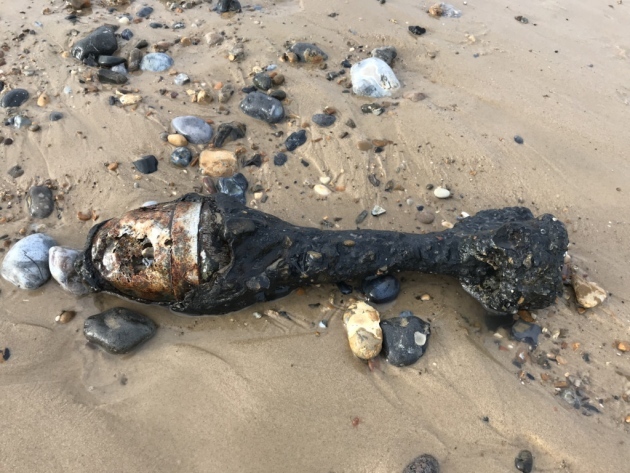 Hazardous device technicians removed the item which was determined to be a military marine white phosphorous flare, dropped from an aircraft to mark a location at sea. The item was taken to the Harwich Transfer Station for proper disposal. 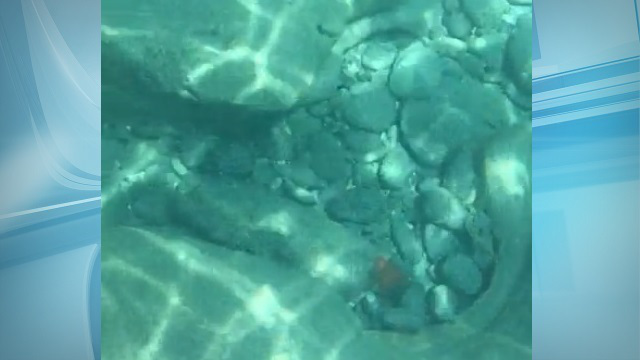 Makua Beach, Hawaii Authorities temporarily closed a portion of the Kaena Point State Park due to the discovery of a munition item located approximately 60 feet off-shore. The munition was initially found by two divers in five feet of water just off of Makua Beach. Park officials called the Honolulu Police Department Bomb Squad to report the find. Police coordinated with Navy EOD who responded and destroyed the item in place without incident. The munition is shown below (exact type not reported).